M.E Software Engineering Anna University, 2012. With Dr. D. Rekha, "Underwater Acoustic Sensor Network: Research Challenges", International Journal of Control Theory and Applications, 2016. With Dr. D. Rekha, "Underwater Acoustic Sensor Network: A Survey", National conference on Science, Engineering and Technology, 2016. With S. Mithra, "Enhancement of Local Languages in DES", National conference on Innovation in Computing and Communication Technology, 2014. Working on Routing problem in underwater acoustic sensor network. Assistant Professor (O.G), Department of Software Engineering, SRM Institute of Science and Technology (formerly known as SRM University), 09/06/2017 to till date. Research Associate, School of Computing Science and Engineering, VIT University, 2014-2017. CSIR Sponsored Two Days National Seminar on Vehicular Ad-hoc Networks and Communication by SRM Easwari engineering college, Chennai, Nov 2010. CSI Sponsored Two Days National Workshop on Data Mining and Tools for business Intelligence conducted by SRM Easwari Engineering College, Chennai, Nov 2010. AICTE Sponsored Two Days National Seminar on Software Testing Techniques by SRM Easwari engineering college, Chennai, Nov 2011. One Day Workshop on Android Programming and Application Development conducted by Geeks Lab at Apollo Engineering College, Chennai, Sep 2012. Two Days Faculty Development Program on FOSS- Open Source programming conducted by VIT University Chennai Campus, Sep 2013. Cloud Setup- Software and Solutions conducted by Anna University, Chennai, Oct 2013. One Day Workshop on An Exposure to Research in Computer Science conducted by VIT University Chennai Campus, Jan 2014. National Seminar on Wireless Sensor Network Framework for Water Resource Management at VIT University Chennai Campus, Apr 2014. Workshop on Visualization for Big data conducted by C-DAC, Knowledge Park, Bangalore, Sep 2014. National Workshop on iSense Wireless Sensor Networks conducted by VIT University Chennai Campus, Jan 2015. One day Workshop on Wireless Networks and Security conducted by Anna University, Chennai, Feb 2015. National Level Workshop on Simulation and Emulation of Self Organized Networks conducted by Kongu Engineering College, Erode, Oct 2016. Microsoft Certified .Net Framework 2.0, Dec 2009. D-Link Certified Trainer, DCT-Switching, Feb 2016. IAENG: International Association of Engineers, 2016. IET: Institution of Engineering and Technology, 2017. Presented paper on “Design of snorkel gunning manipulator for RH-degasser” in national level conference held at Kumara guru College of Technology, Coimbatore in 2010. Participated in one day course on “Fracture analysis” at IIT-Madras, held on 30th September 2011. Attended in SIEMENS UGNX8 Product launch in August 2011 on behalf of B.S.Abdur Rahman University. Participated in short term course on “Heat Treatment of Industrial Components” at IIT-Madras, held on 29th and 30th July 2011. Participated in one week faculty training program in “Engineering Graphics” at July 2011 in BS Abdur Rahman University, Chennai. Participated in one week faculty training program in “Teaching Skills” at July 2011 in BS Abdur Rahman University, Chennai. Participated in short term course on “Material Characterization and Failure Analysis” at IIT-Madras, held on 4th and 5th March 2011. Participated in AICTE sponsored, QIP short term course on “Carbon Nanotubes and Carbon in Nanotechnology” at IIT-Kanpur, held on14th to 18th December 2010. Participated in AICTE sponsored, national seminar on “Metal Matrix Composites” conducted by the department of mechanical engineering in RVR & JC college of engineering, Guntur, held on 29th to 30th September 2010. Participated in one day Workshop on “Nanomaterials” conducted by the department of mechanical engineering in SVCE, Sriperambadur, held on 21st August 2010. Participated in international conference on “Robotics and Automation” held at PSG College of Technology, Coimbatore in 2009. Participated as a volunteer in national level seminar held at Annamacharya Institute of Technology & sciences, Rajampet in 2004. Navina Shrestha, Vadivelan.K,Sivakumar.V.P.R(2016). A Comparative study on Task-Specific Training with Trunk Restrain Vs Constraint-Induced Movement Therapy on Upper Extremity function in Sub Acute Stroke conducted in a Physiotherapy Hospital Nepal. International Journal of Scientific and Research Publications. Vol 6, Issue 9 Sep 2016, Page No. 842-846. Raj.Y.N.,Vadivelan.K,Sivakumar.V.P.R.(2016). Comparison of Multisensory Versus Strengthening Exercise on functional mobility and balance in elders. International Journal of Physiotherapy, Vol 3, Issue, Page No. 557-561. Vadivelan.K, Kiyanduru.G, (2015). Comparison of Foot Taping Vs Custom made Medial Arch Support on the Pronated Flat Foot in school going children. International Journal of Physiotherapy, Vol2, Issue 3, Page No. 491-501. Vadivelan.K, Priyaraj.B (2015). Influence of two different sitting postures on Hamstring Muscle Flexibility in School Going Children. International Journal of Physiotherapy, Vol 2, Issue 2, Page No. 459-464. Vadivelan.K, Kaviarasi.S, (2017). Comparison of Active Knee Extension Test and Straight Leg Raise Angle in Visual Terminal Operators with or without Low Back Pain. International Journal of Development Research, Vol 07, Issue 11, Page No. 17358-17363. Crispin Gency.A, Vadivelan.K, Prof.V.P.R Sivakumar December 2017.Effect of Additional Sensory Motor Stimulation on the Motor and Functional Recovery of Hemiplegic arm in Acute Stroke. International Journal of Current Research, Vol-9, Issue-12, Page No. 63480-63483 December 2017. Nemani Rama Thulasi, K.Vadivelan, Prof.V.P.R. Sivakumar December 2017-Effect of Time Based Selective Domain of self-rehabilitation on health-related quality of life in Parkinson’s disease. International Journal of Current Research, Vol-9, Issue-11, Page No. 61165-61172, December 2017. Suresh Jothi, K.Vadivelan, Nageshwara Rao and Prof.V.P.R Sivakumar (December 2017) - Prevalence of Urinary Incontinence in Men with Chronic Obstructive Pulmonary Disease. International Journal of Current Research, Vol-9, Issue-12, Page No. 63490-63494, December 2017. Ayur Das, K.Vadivelan, Prof.V.P.R. Sivakumar (December 2017) - Effectiveness of Subscapularis Soft Tissue Mobilization versus Proprioceptive Neuro Muscular Facilitation on Gleno Humeral External Rotation in Periarthritis Shoulder. International Journal of Current Research, Vol-9, Issue-12, Page No. 63484-63489, December 2017. K.Vadivelan, Shaffi Bakash, Lakshmi Prasanna (November-2017) - Short-Term Effect of Exercise versus TENS in Management of the Fibromyalgia. International Journal of Multidisciplinary Research Review, Vol.1, Issue-33, November 2017 Page No.99. Vadivelan, Vignesh- Prevalence of Musculoskeletal disorder among sewing machine workers in leather industry. K.Vadivelan, Abhijith – To compare Eccentric Exercise and Isometric Exercise in Achilles Tendinitis for Skaters. K.Vadivelan, Varalakshmi - Efficacy of Balloon Blowing Exercise with Peak Expiratory Flow Rate In young Adult Smokers. K.Vadivelan, Jeninitha – Prevalence of work Related Psychological and Musculoskeletal Problem among business process outsourcing workers. Associate Professor, SRM College of Physiotherapy, SRM Institute of Science and Technology (formerly known as SRM University), Kattankulathur, since 01-06-2013 to Till date. Participated in Continuing Physiotherapy Education Programme (CPE) on “Recent updates on assessment and management of low back pain – Manual Therapy approaches” organized by SRM college of Physiotherapy, SRM Institute of Science and Technology (formerly known as SRM University) on 30th January 2014 -Total credit hours – 7. State level physiotherapy conference on “Statistics and Research Methodology for Physiotherapists” conducted by SRM College of physiotherapy, SRM University, Kattankulathur on 28th and 29th November 2014. A Mobile Health Intervention to Support TB Eradication Programme for Adherence to Treatment and a Novel QR Code Based Technique to Monitor Patient–DOTS Provider Interactions and Diseases Infectious of Journal, Vol , I , 2018. EAMCA & EMD Integrated formulating PCA-RMD Detecting DDos attacks in Big Data, Journal of Advanced Research in Dynamical and Control Systems, Vol 2, I , B 1766-E 1777, 2018. Methods and Approaches on SPAM review Detection for Sentiment Analysis, International Journal of Pure and Applied Mathematics, Vol , I , 2018. A Comprehensive Study on Sarcasm detection in Sentiment Analysis, International Journal of Pure and Applied Mathematics, Vol , I , 2018. Streaming Analytics, International Journal of Pure and Applied Mathematics, Vol , I , 2018. Predicting hyperlipidemia using enhanced ensemble classifier, International Journal of Engineering & Technology, Vol , I , 2018. Performance Analysis of Sudoku Puzzle Solver, International Journal of Pure and Applied Mathematics, Vol , I , 2017. Predicting Bus Arrival Time using Data Analytics, International Journal of Pure and Applied Mathematics, Vol , I , 2017. A survey on using social media data analytics for pharmacovigilance, Research Journal of Pharmacy and Technology, Vol 10, I 10, ,3474-E 3478, 2017. Prototype For Automated Ontology Construction for Semantic Search In Health Care Management Using Herbal Plants, International Journal For Innovative Research In Science And Technology, Vol 2, I 6, B 7-E 12, 2015. Design of Cloud based Instant Messaging System on Android Smartphone using Internet, International Journal Of Computer Applications, Vol 89, I 14, B 1441-E 1443, 2014. Applying Machine Learning Algorithms for Student Employability Prediction Using R, Int. J. Pharm. Sci. Rev. Res., 43(1), Pages: 38-41, ISSN 0976–044X,April 2017. Intelligent Framework using Machine Learning Algorithms to Respond Social Media Customers, Int. J. Pharm. Sci. Rev. Res., 43(1), Pages: 140-143, ISSN 0976–044X, April 2017. Deduplication Techniques: A Technical Survey,IJIRST –International Journal for Innovative Research in Science & Technology, Dec 2014. Live Virtual Machine Migration Techniques-A Technical Survey, Springer India, Intelligent Computing Communication and Devices, ISBN: 978-81-322-2011-4, Volume 1, pp 303-319, Aug, 2014. Analytics and Prediction over Student’s Record, International journal of Advances and Science Engineering and Technology, ISSN 2321-9009, Volume 2, Issue 2, April,2014. Vadivukkarasi.K, R.Kumar , “An Overview of localization for wireless sensor networks”, International Organization of Scientific Research- Journal of computer science, Volume 16, Issue 3,Ver. 1(May-Jun 2014),PP 91-99. Vadivukkarasi.K, Aswini Kotakonda “Error reduction in indoor localization using pattern matching for stationary nodes in wireless sensor networks”, National conference on embedded systems, April 2013. Vadivukkarasi.K, R.Kumar , “Coverage estimation for wireless sensor networks from real time RSSI measurements for indoor localization” IETE 45th Mid-Term Symposium on Broadband-Technologies and services for rural India MTS 14,April 14. National seminar on “research Challenges in Wireless Sensor Networks (RCWSN), 3rd March, 2010 at MIT, Chennai. Workshop on “Multi-carrier Modulation Techniques” on 18th Oct 2010, Dept. of ECE, SRM Institute of Science and Technology (formerly known as SRM University). One day Faculty Symposium on MIMO-OFDM Wireless Systems held on January 27th, 2011, SRM Institute of Science and Technology (formerly known as SRM University), Kattankulathur. Participated in National Level Training Programme on “Network Simulators: NS-2 and Qual Net on 4th and 5th March 2011, at Rajalakshmi Engg. College, Chennai. National Level Workshop on “Recent and Future Trends in Wireless Sensor Networks” from 19.12.2011 to 21.12.2011 organized by Dept. of CSE, SRM Institute of Science and Technology (formerly known as SRM University). Two day Short term training program on MIMO-OFDM Systems, February 1st – 2nd ,2012, SRM Institute of Science and Technology (formerly known as SRM University), Kattankulathur. Attended “Refresher Course on Embedded Hardware Design”, 30th & 31st July, 2015 ,SRM Institute of Science and Technology (formerly known as SRM University). CRYPTOGRAPHY 1 in Coursera by Stanford University ,DOC:06.01.2016. System software, computer networks, Data structures, Object oriented programming, Computer architecture, Machine learning. Security in Big data, Machine Learning. P. Dineshkumar, R. Mohankumar, C.Hemalatha, M.Vaidhehi, "Building Soil Information Retrieval System using Ontology: Based on Rules", IJSRD, pp. 194-200, Vol. 4, Issue. 4, Jul 2016. K.Mohanappriya, M.Vaidhehi, "Constructing the Classification systems using Association rule mining for Predictive Analysis", International Journal of Advanced Research in Computer Engineering & Technology (IJARCET), pp. 4316-4323, Vol. 3, Issue. 12, Dec 2014, ISSN: 2278–1323. M.VAIDHEHI “A N0VEL APPROACH FOR DATA PUBLISHING IN PRIVACY PRESERVED MANNER” organized by Department of Computer science and engineering, KRCE, Trichy on March 2013. M.VAIDHEHI, “Overlapping slicing : A unique approach for data publishing in privacy preserved manner” organized by Department of computer science and engineering, JKK Nataraja College of Engineering, Namakkal on March 2013. M.VAIDHEHI “A NEW APPROACH FOR PRIVACY PRESERVING DATA PUBLISHING” organized by Department of Computer science and engineering, RMK College of engineering, Chennai on Feb 2013. Privacy preserving and optimizing cloud storage over encrypted big data using data duplication. Attended one day Workshop on “Machine Learning through Python”, SRM IST, 22nd Sep 2017. "Two day Faculty Development Program on Introduction to Big Data Analytics" organized by M.Kumarasamy College of Engineering, Karur on 28 & 29-Nov-2016. "Faculty Development Programme on Soft Skills and Communication Skills for Effective Teaching" organized by Department of English, SCE on 05-06 Jan 2016. Worked as Assistant Professor in the department of Computer Science and Engineering in Saranathan College of Engineering, Trichy-12 from 23rd Dec 2013 to 21st April 2017. Working as an Assistant Professor (OG) in the department of Computer Science and Engineering in SRM IST Chennai from 12th June 2017 to till date. Certified as a Microsoft Certified Professional (MCP) - Microsoft Technology Associate (98-366) in Networking Fundamentals (Certificate No. : F605-7292) with 90%. Institution of Engineering and Technology (IET), 2017. Indian Science Congress Association (ISCA), 2017. Affiliation: School of Bio-Engineering, Kattankulathur campus, SRM Institute of Science and Technology (formerly known as SRM University). K. Nagasathiya, R. Pachaiappan, and M.Vairamani A simple mass spectrometric method for the estimation of Boron and Aluminum in water at parts per billion level. Eur. J. Mass Spectrom.21, 481-486 (2015). Research Associate at Brooklyn Polytechnic, New York from 1979-1981. Research Associate at Stanford University, California from 1981-1982. British Council Scholar at University College of Swansea, UK from 1991-1992 (on deputation). Visiting Scientist at Washington University, St.Louis, USA from 2001-2002 (on deputation). Scientist at Indian Institute of Chemical Technology (IICT), Hyderabad from June,1982 to August,2011. Established Mass Spectrometry Centre at IICT for research and service. Established Internationally accredited and Designated laboratory for analyzing chemicals prohibited under chemical weapons convention at IICT, Hyderabad. Published nearly 170 papers in peer reviewed journals. Published 2 book chapters and one patent. Guided 16 students for their Ph.D. degree and guiding 2 students at IICT, Hyderabad. Director of Institute of Pesticide Formulation Technology, Gurgaon under the Ministry of Chemicals and Fertilizers from November,2007 to October,2009(on lien from IICT) and responsible for getting NABL accreditation for analyzing pesticide formulations and for participating in international proficiency tests conducted by the organization for prohibition of chemical weapons. Affiliation: Department of Electrical and Electronics Engineering, Kattankulathur Campus, SRM Institute of Science and Technology (formerly known as SRM University). With A.Jamna, “Design of Matrix Converter in Windmill for Frequency Stabilisation”, ICICES2014, S.A. Engineering College, Chennai, 2014, ISBN No.978-1-4799-3834-6/14. “Design of Thirteen Level Cascaded H-Bridge Inverter for Low Power Applications”, International Journal of Control Theory and Applications, 2016. 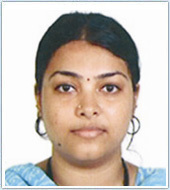 Assistant Professor, SRM Institute of Science and Technology (formerly known as SRM University), since June 2014 to till date. 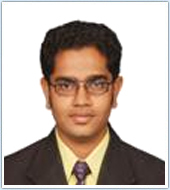 Assistant Professor, Jaya Engineering College, 2013-2014. Attended one day workshop on “MATLAB for Engineering Applications”, VIT Chennai, 29th August, 2015. Attended in the 3 days workshop on “Real Time Simulations of Electrical Systems”, VIT Chennai, 20th to 22nd August, 2015. Attended a National Level Workshop on “Advanced Power Electronic Converters and its Control Techniques for Renewable Energy Systems”, SRM Institute of Science and Technology (formerly known as SRM University), 23rd and 24th January, 2015. Attended a National Workshop on “Modeling and Simulation of Special Electrical Machines using MATLAB”, Jaya Engineering College, Chennai, 22nd February, 2014. Attended a National Seminar on “Energy Conservation and Thermal Energy Storage”, Jaya Engineering College, Chennai, 12th & 13th December, 2013. First place in Mehandi, Dance and Decision Making Competitions held at the Woman’s Day Celebrations, SRM Institute of Science and Technology (formerly known as SRM University), March, 2016. Best Outgoing Student” during under graduate degree course, BE (2007-2011) and was given the Principal’s Award. “Most Talented Personality” during Femfest cultural 2010, at Satyabama University. First place in Paper Presentation on “Navilight” at the technical symposium Incendio, 2009 conducted by Jerusalem College of Engineering, Chennai. Second place in the technical quiz at Incendio, 2009 conducted by Jerusalem College of Engineering, Chennai. “Most Knowledgeable Personality” during Femfest cultural 2008, at Satyabama University. First place in Fashion Show during Femfest cultural 2008, at Satyabama University. Vaishnavi Moorthy, Arpit Parwal, Udit Rout, “De-duplication In Cloud Storage Using Hashing Technique for Encrypted Data”, ARPN Journal of Engineering and Applied Sciences, Vol 13(5), 2018. Vaishnavi Moorthy, Kshitij Sharma, Raghav Sachdeva, “Firewall and load balancer implementation in Software Defined Networking”, International Journal of Pure and Applied Mathematics, Vol 115(7), 2017. Vaishnavi Moorthy, Vamsi Krishna Patchava, Mansi Dikshit, Revathi Venkataraman, “Technical Comparative Analysis between ODL and ONOS Software Defined Controllers”, International Journal of Control Theory and Applications, Vol 10(32), 2017. Rajyashree. R, Vaishnavi Moorthy, Nedunchelian R, “Databases Using Multi-Factor Authentication”, International Journal of Trendy Research in Engineering and Technology, Vol 1(1), 2017. Saipavan Narasaraj , Vishnuvardhan Reddy and Vaishnavi Moorthy, “Compressed and Encrypted Online Multimedia File Storage in Cloud”, Indian Journal of Science and Technology, Vol 9(37), October 2016. Vaishnavi Moorthy, Revathi Venkataraman, “Analysis of Data Transmission management through Software Defined Pox Controller”, ICTPM, IEEE Global Wireless Summit, Novotel, Hyderabad, December 2015. Vaishnavi Moorthy, Revathi Venkataraman, “Detection of failure transmission nodes through SDN based centralized controller”, ICTTM, IIT Delhi, April 2015. Assistant Professor, Department of CSE, SRMIST from June 2013 till date. NPTEL Course Certification on “Cloud Computing”. Membership Chair for SRMIST ACM-W Chennai Chapter since 2018. Faculty Sponsor for SRMIST ACM SIGCHI Student Chapter since 2018. Faculty Sponsor for SRMIST ACM-W Students Chapter since 2017. Member in Association for Computing Machinery since 2015. Member in Institution of Engineering and Technology since 2013. Member in Indian Science Congress Association since 2013.